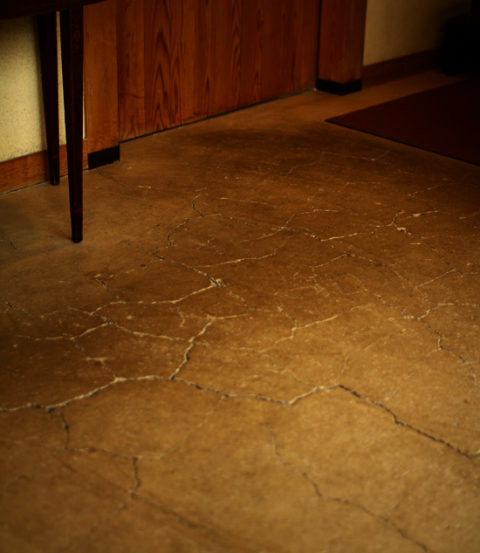 A floor of a Soba restaurant. The mortar floor cracked to pieces completely as if it designed so. I’m not going to say “what is the matter of the cracked mortar?” as an architect, but I wish a space in architecture has a tolerance to accept such aged deterioration.